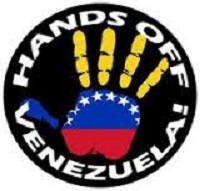 Latin Waves Host Sylvia Richardson speaks with Jorge Martin Secretariat of Hands off Venezuela about the current threat of invasion, the root causes of the crisis in Venezuela. Also why this moment may prove a catalyst for the advancing of the democratic process began by Hugo Chavez. The resilience of Venezuelans and the process to creating a society beyond Capitalism. This entry was posted in Uncategorized and tagged another world is possible, be the media, bloggers, Canadian Elections, capitalism, community, homelessness, HOV, how to listen, international, internet, interviews, itunes, Jorge Martin, Latin America, latin waves media, media, media democracy, membership, movements, passion, Peace, podcaster search engine, Podcasting, political, politics, Privilege and Identity in Education, race, radio, social change, sound, Stuart Richardson, Sylvia Richardson, syndicated, Venezuela. Bookmark the permalink.